We are thrilled to announce that Sims-Lohman has made the 2018 Deloitte Top 100 list of largest privately held companies in Cincinnati. 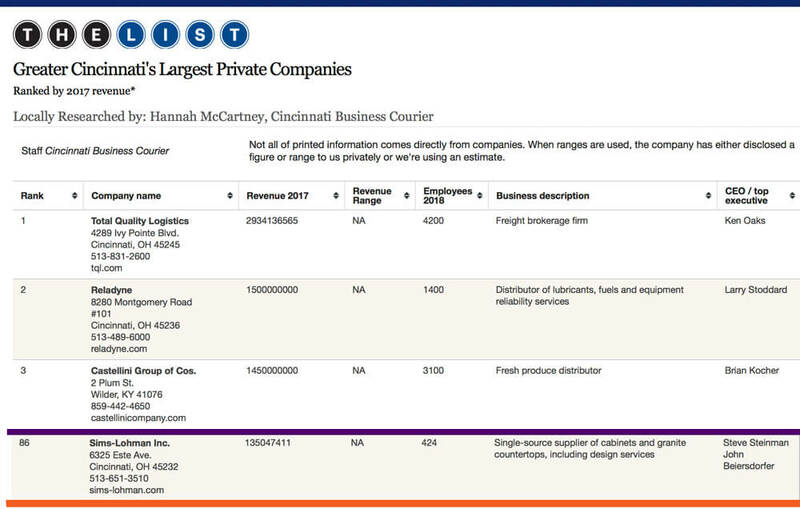 We are excited to announce that Sims-Lohman has jumped from our previous #90 spot in 2017, to #86 in the Greater Cincinnati’s Largest Private Companies of 2018! For more information about the Business Courier or to see the full list please click here.